This year, Microsoft and Apple are both introducing new versions of their operating systems with important changes to their user interfaces, and with a flurry of publicity. A third major company is also overhauling its PC operating system, but you probably won’t hear much about it. 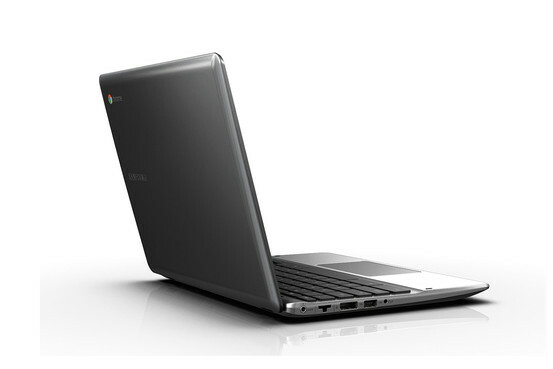 Google redesigned its PC operating system, Chrome OS. While Google is a major rival to Apple and Microsoft in things like search, smartphones and browsers, Chrome OS hasn’t dented the competition in the year since it emerged. It was meant to be radically different than Windows and the Macintosh operating system, a refreshing change for a new era. But it had serious limitations, principally that it ran only apps inside a browser on a handful of special, low-powered laptops called Chromebooks and could do almost nothing when it wasn’t online. The new version, which I’ve been testing, aims to address some of those issues and it makes some progress. But I still can’t recommend it over a PC or Mac for average consumers who are looking for the greatest versatility in a laptop. I still find it more of an evolving project than a finished product. Its fundamental limitations remain. Most importantly, you still can’t install your favorite programs, be they Microsoft Office or iTunes or Firefox—only a few thousand “Web apps” that run inside the Chrome browser. And it still only works on specific hardware: that laptop called the Chromebook or—new this year—a small desktop called a Chromebox. The only hardware maker producing the 2012 versions of these machines so far is Samsung, though Google says more are coming. New Chrome OS allows for multiple windows and has a taskbar at the bottom like Windows. Chrome OS does have some admirable qualities—especially its philosophy of simplicity and of being wedded to the cloud. For instance, because it’s designed to fetch your apps and documents from the Internet, you can replicate your entire computer by just logging in on any other Chrome OS PC. And, if you mainly use the Web and live in the cloud, it may be the ticket for you, especially as a second machine. Last year’s inaugural version of Chrome OS was little more than a giant browser in which you ran only Web-based apps. The new redesign of Chrome OS, released late last month, represents something of a retreat from that dramatic strategy. Now, Google is touting the new release for features that make it look and work more like a Windows PC or Mac—for instance, multiple, movable windows; a strip along the bottom that holds the icons of apps you use; a slightly greater emphasis on doing things offline; and greater focus on finding and launching apps. None of this is revolutionary for people used to traditional computers. What Chrome OS is exactly can be confusing. While it looks and works a lot like the browser of the same name, Chrome OS is a full-blown operating system that, unlike the Chrome browser, can’t be installed on PCs and Macs. Also, Chrome OS is unrelated to Google’s best-known operating system, Android. The latter is meant to power smartphones, tablets and some other miscellaneous devices. Chrome OS still only works on specific hardware: a laptop called the Chromebook or—new this year—a small desktop called a Chromebox. I tested the redesigned Chrome OS on the new Samsung Chromebook, a model which Google claims has up to three times the performance of the original Chromebook. This laptop has a 12-inch screen, weighs 3.3 pounds and is about 0.8 of an inch thick. I didn’t run a formal battery test on it, but Samsung claims it gets up to six hours on a charge, less than the claims for the MacBook Air or the new Windows ultrabooks. In my tests, the battery easily lasted a full day in light to moderate use. The Chromebook is sold online and costs $450. A model that includes a slow, 3G cellular modem is $100 more. The Chromebox desktop is a small box that comes without a screen, mouse, or keyboard, and sells for $330. Because it’s primarily meant as a portal to the Internet, the Chromebook has only about as much storage as a smartphone: 16 gigabytes, rather than the hundreds of gigabytes common in other laptops. And it has a wimpy processor, one of Intel’s entry-level Celeron models. In my tests, the new Chromebook performed well and did everything it promised. Unlike in the first iteration, I was able to use multiple independent windows and to minimize them or resize them easily. I could store frequently used apps, which still run in browser pages, in the bottom strip, similar to the Windows taskbar or Mac dock—again, nothing new there, but a welcome addition. I was also able to play music and videos, to view and edit photos, and to view (but not edit) Microsoft Office documents. These abilities are a good thing, but also have been long available on other operating systems. In the next month or two, Google plans to automatically update Chrome with two important features: the integration of Google’s online file-storage locker, Google Drive, right into the Chromebook’s file system; and the ability to edit documents when offline. I was able to test pre-release versions of these features and they worked fine. Google Drive can already be installed and integrated into the Windows and Mac file systems. In fact, all of the important features of the Chrome OS—which is still at heart just a big browser—are available in the Windows and Mac versions of the Chrome browser, including the ability to run Web apps, programs like Google’s office suite, or Web-based games. Google concedes this, but says that, by making the whole computer a browser, it has simplified the overall experience. 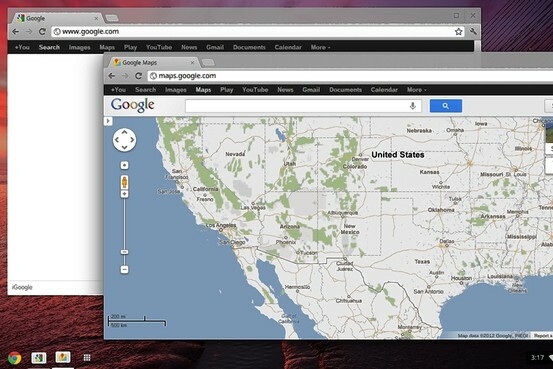 Google has big plans for the Chrome OS. It has built-in features it claims will work great with future touch-screen hardware. But, overall, I’d say, if you only have the budget for one main computer, you’re better off with a Mac or a PC.